3D printing has been around since 1984 and until recently was called rapid prototyping (RP) but the appearance of consumer devices and increasing use for production components has prompted the name change. Before we get into the nitty-gritty of the equipment and how they can be used in the classroom, a few unusual examples may help get you thinking outside the 3D printing ‘box’. Before you rush out and buy a 3D scanner take a few moments and ask what you want to do with the scanned model. Unless you buy an expensive, high resolution scanner and spend a lot of time setting up and carrying out the scan, the data will probably need editing to be of any practical use. 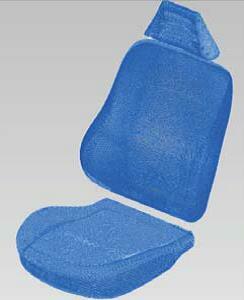 At best you will end up with a surface which can be solidified or thickened into a part that can be manufactured. At worst you will have a partial surface with holes and ambiguous geometry that needs a lot of editing. Companies who regularly use scanned geometry have full-time specialists repairing surface geometry using expensive specialist software. If you want to edit scanned shapes in school check whether you have editing and sculpting tools in your existing 3D modeller like the Flexible Modelling and Warp tools in the PTC Creo suite of 3D modelling software. 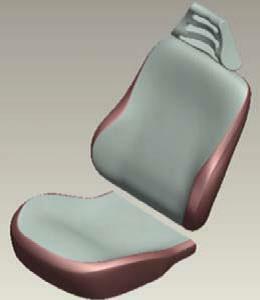 stored on computer from 3D design software or scans of real objects. 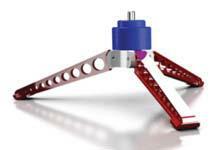 PTC Creo was used to design this small folding tripod specifically for 3D printing.